Like it or not, racism has been a major part of Earth's history. It still plagues the planet today. However, in the future that Star Trek presents, same-species racism has been practically eliminated, with all peoples (for the most part) receiving equal opportunity. Now, I know that sexism exists within various species (the Ferengi for example), but what about racism? Different skin colors are apparent in multiple species. Has there ever been evidence of racism within other alien species in any instance of their history? "Whenever a group of people start believing they are better than everyone else, the results are always the same." — Jonathan Archer, speaking to Arik Soong ("Borderland"). Genetically-enhanced humans (Khan and his followers; Arik Soong's adopted children) oppressed unenhanced humans in the Eugenics Wars and smaller-scale incidents. Soong's children even heaped scorn on one of their own number (Smike) for lacking some (but not all) of their genetic gifts. Among humans, backlash against Augments resulted in government-sanctioned genetic discrimination that continued to limit Augments' career choices -- even their existence -- into at least the 24th Century. The two ethnic/cultural groups in "The Omega Glory"1 had a longstanding conflict. Their mutual hatred was so deeply embedded that one group, when it seized power, initially saw no problem with denying fundamental rights to the other. The augment virus did not affect all Klingons, and ship crews were never shown to contain a mixture of the two phenotypes. This segregation could have been voluntary2 as a face-saving measure for the afflicted, but it may also have been imposed by the purebloods. 1 The episode doesn't definitively state that Yangs and Kohms are the same species. They're just played by actors from different ethnic groups, without any alien prosthetics or makeup. 2 Dr. Antaak's idea for offering a cranial reconstruction service and Worf's reluctance to discuss the affliction demonstrated how strongly Klingons felt about the effects of the virus. There was "Let That Be Your Last Battlefield,” a remarkably unsubtle clunker of an episode, in spite of its worthy message. Kirk: "You're black on one side and white on the other." Bele: "I am black on the right side." Kirk: "I fail to see the significant difference." Bele: "Lokai is white on the right side. All of his people are white on the right side." "You're finished, Lokai! Oh, we've got your kind penned in on Cheron into little districts, and it's not going to change! You've combed the galaxy, and come up with nothing but monocolored trash, do-gooders, and bleeding hearts.You're dead! You half-white!" "You useless pieces of bland flesh! I'll take you with me! You half-black!" We gradually learn the history of the Enarans. One of their factions/subgroups , the Regressives, were deported and executed in a program of mass genocide which they later attempted to cover up by teaching later generations that the Regressives died due to plague brought about by poor hygiene. Although the same species, seperated for only a few thousand years Vulcans and Romulans... do not get on well. As Benny Russell, an African-American science fiction author writing the stories of Benjamin Sisko, experiences first hand the racism of twentieth-century humanity. Benny Russell was an alter ego of Captain Sisko, experienced in visions initiated by the Bajoran Prophets. I would say that some of the possible answers to this question depend upon your definition of racism. 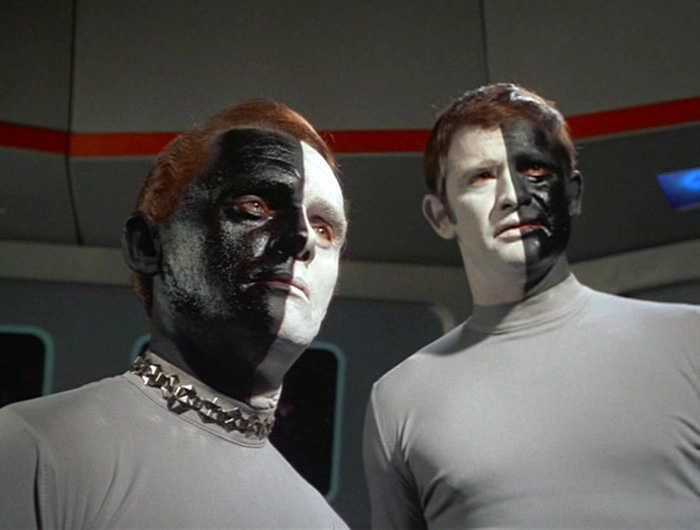 As another answer mentions, there are not many multiracial species shown in Star Trek, aside from Humans. Vulcans have some, but there are also portrayed as very close to humanity compared to many of the other alien races. That being said, if what you mean by racism is any form of interspecies prejudice or bigotry, then I would suggest reading up on the history of the Vulcan Mind Meld and how those who practiced that ability were viewed for a long time. There are a few episodes of Enterprise dealing with this and it is heavily likened to how homosexuality was viewed in the 1980s, as there is a disease is involved as well as a general taboo put onto the practice as a result. Closer to the typical definition of racism is the case of the Aenar, who are a different race of Andorians than are typically portrayed. Also featured in an Enterprise arc, it could be argued that they are discriminated against in some ways, but its hard to tell since Andorians tend to deal with everyone in the same aggressive manner and the Aenar's separation from the main Andorian society seems self-imposed. But there are many forms of subtle or unconscious racism that might have led up to that state of being. Yes, bigotry exists in the Star Trek universe. And xenophobia as well. FWIW, prejudice against species from outside is called xenophobia. 'Racism' is misused in 99.9% of cases. We say "that's racist" when what we mean is "that's prejudiced", or "that's bigotry". It's all xenophobia in the end. The subconscious "fear of other" or "fear of the unknown" is at the root of prejudice and bigotry. There is plenty of xenophobia in Star Trek. Also, many cases of conflict within individual species. Humanity still has vestiges of prejudice. e.g. enhanced humans (Khan). Romulans and Vulcans are the same species, biologically, with polar opposite cultures. That's just two, and they're not all of the examples from ToS. From the beginning, Roddenberry shone the light brightly on bias and prejudice as destructive human qualities. Even if an episode wasn't about prejudice, there were often symbolic references to it. Edit: Added explicit answer, made the answer clearer. TNG espide "Attached" might count. http://memory-alpha.wikia.com/wiki/Attached The Kes and Prytt appear to regard each other as inferior, and the Prytt call the Kes "xenophobic", but this could also just be seen as two nation states opposing each other as opposed to racism. One theme that is very strong in Star Trek: Discovery is "abuse" and therefor there is this kind of xenophobic undertone running through the first season. However, the series is not so much just looking at the abuse, which can be seen as predjudice against "others", but rather a deeper pyschological element on abuse in wartime and if perhaps war itself is xenophobic in nature? Klingon Houses - Although there is an effort to become an Empire of Klingons, there is an aspect of this story that is looking at factions of Klingons through both houses and leadership of any given house. There is a competitive nature and a thirst to dominate, proving that some of the Klingons are more than ok with hurting each other, let alone members of Starfleet. The Female Klingon L'Rell's relationship with Ash Tyler. 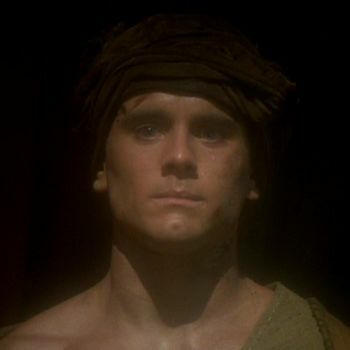 L'Rell had been working as an interogator and sexually abused and tortured Ash Tyler, resulting in the character beginning to display symptoms of PTSD. It's unlcear if despite that the audience would clearly see this as abuse, if L'Rell does--If she does not have romantic feelings for him, despite doing her job or if this is how she normally would do her job to any subject??? However, there is an additional plot twist here, that I will not reveal, but makes this more complicated in terms of race. Lt. Stammets is convinced by Lorca to genetically alter-himself and become a new component for the spore-drive. Lorca continiously manipulates Stammets into this position, even though it's clear that the genetic modification changes his personality and/or creates bi-polor personality shifts and is taking a toll on his body. (human on human abuse). Captain Lorca displeased with Starfleets orders, sends his friend and higher commanding offier, Admiral Cornwall, to a set meeting with the Klingons to replace an indisposed Sarek, where he hoped she would meet her death. Not the answer you're looking for? Browse other questions tagged star-trek star-trek-tng star-trek-ds9 star-trek-voyager star-trek-tos . Are the various Star Trek species composed of different races? Do any of the known species besides the Srivani in Star Trek use a phase shift as a cloaking device? Are there truly alien Star Trek species with races? Do any countries in Star Trek no longer exist?